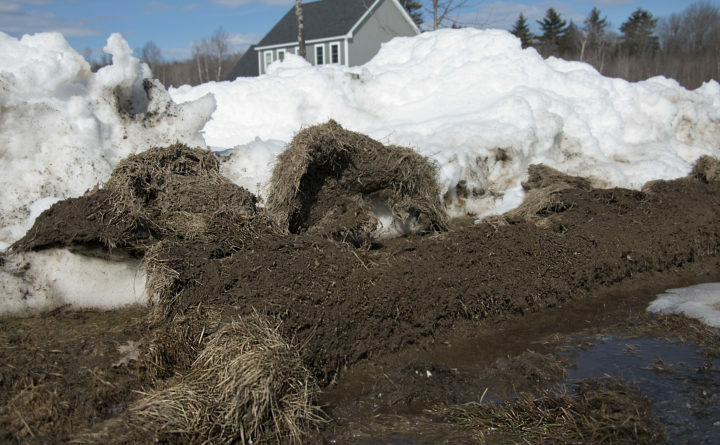 Muddy lawns torn up by snow plows and vehicle tires are common sights in Maine throughout early spring. 1. Bring in loam, grass seed and fertilizer to fix up your lawn. After seeding the loam, Randalls company usually covers the area with Mainely Mulch, which is pre-chopped hay and straw stubble that contains virtually no noxious weed or crop seed. It decomposes quickly so you don’t have to rake it away after the grass has grown up. 2. Watch out for snow mold. 3. Clean up branches, road gravel and other debris as early as possible. 4. Turn debris into something useful. 5. Avoid using salt on your driveway and walkway if possible. 6. If you notice areas of dead plants and grass, test the soil.